We take the data privacy rights of our users very seriously and only collect data necessary to fulfill the service purchased. Information requested using our online registration or checkout form, basically, identifying data related to your cell phone (including, but not limited to, the IMEI number or original operator) and the service you are interested in purchasing. The services we offer are listed and defined in our Terms & Conditions. Information we need to receive proving you have granted us permission to collect the information outlined above (e.g. identification, IP address, date and time). Information you wish to provide voluntarily while browsing our website, such as clicks, comments, or by selecting specific content. We also have access to collection data, payments, invoices and other information allowing us to charge for our products and services. Information through interactions with our website (such as purchases, cell phone unlockings, phone checks, top-ups, refunds, questions or comments) related to our products and services. 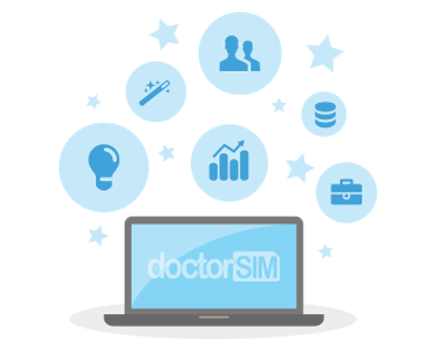 Contact information provided to doctorSIM through different communication channels, or information requests regarding products and services.